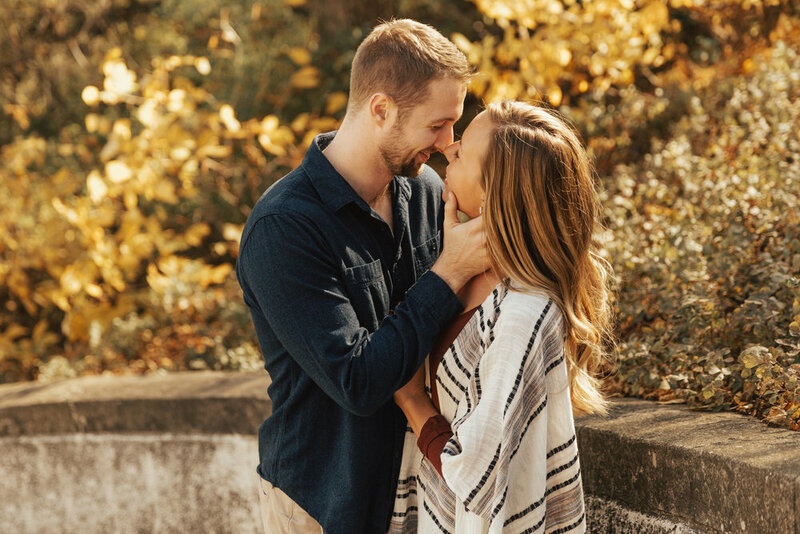 Everyone in Mitch and Emily’s life, CALM DOWN because these are not their engagement photos! These two are simply just my amazing, beautiful launch giveaway winners that I had the pleasure to hang out with. Back in August, I launched my brand new website and revamped Nikki Kate Photography with the awesome Brynna Nicole. So thankful for all those who entered and shared in the excitement of the launch! Mitch and Emily, you both were AMAZING! Thank you for hanging out with me on this gorgeous, fall, Milwaukee afternoon. I had so so so much fun laughing with you guys. You both rocked it and should just become models now! Thanks for being so awesome and I cannot wait for you to see ALL your photos!